A while back Dean aka Aleck Rand asked if he could sit in on B3 for a blues collab. I agreed to come up with something for us to work on and then we got sidetracked. So we reconnected and Dean said he would put together a bed of B3, Bass and RealDrums. He sent me the track and after listening I went and hid under the bed. After I convinced myself that the Martian Harmonic Police were not coming to confiscate my computer I settled into it. We come from very different places musically and I have the utmost respect for his advanced knowledge of theory but he twisted my mind up with his chord substitutions. Once I found the 1 chord, I was able to put some lyrics on it and as Dean said “This ain’t your Daddy’s Blues or anyone else’s for that matter”. This collab is a testament to the camaraderie and friendships we have found on this forum. Thank You Dean for the opportunity to work together. I consider it a privilege. Tom, you did a good job coming up with lyrics that are such a good match for Dean's arrangement. Dean, super arrangement. Enjoyed this. It was a nice collaboration from two of the finest here on the forum. with the lyrics and I love your vocals anyway. And that guitar!!!! I can't stop listening. He sent me the track and after listening I went and hid under the bed. After I convinced myself that the Martian Harmonic Police were not coming to confiscate my computer I settled into it. That is amazing, the combination of 2 minds starting at different points but combining so beautifully. This is a very special collab! The organ and guitar are great. Sung very well and good lyrics too. Fantastic! Great to hear something so original. The lyrics vocal and guitar Fit beautifully into Deans backing. Good one! Cheers. It's the spaces between the notes where the magic so elegantly hides and only reveals itself when we relax and receive and stop trying to count the time. At least that's how it is for me, I like it a lot! Over the top guys. Nice collaboration. Nice chords line, guitar and organ. The voice it goes very well on this song. Beautifully done guys! Fantastic musicianship throughout the whole song. What an incredible collaboration...pure imagination and understanding of music theory! The B3 sounds great. Love that bite. ...stunning songwriting, stunning music. When it comes to creating and amplifying a mood, "Once Forgotten Man" does it in leaps and bounds. I sometimes find that Hammond harmony, with all those harmonics that are available via drawbars, can obscure an arrangement rather than enhance it. That wasn't the case here at all. The end result that I heard was bluesy and with perfect prosody between words and music. Impressive work. The distorted guitar was an excellent contrast to the edgy Hammond sound. The lyrics are awesome! I really liked the hook "a used to be lonely woman and I’m a once forgotten man" - excellent imagery. The line "the story of our love was just a long goodbye" is my favourite. I have never heard a relationship breakdown expressed so succinctly this way. To be able to condense all that anguish, agony and sense of loss into a single line is outstanding lyric writing. Lyrics don't get any better than this. Total enjoyment and involvement from bar 1 to the end. 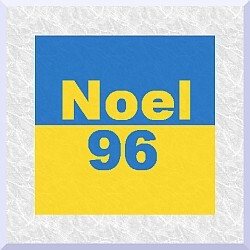 We're down with Noel on "the story of our love was just a long goodbye,"
what a great line (of many)! "He sent me the track and after listening I went and hid under the bed. to confiscate my computer I settled into it." before I'd have figured anything out.